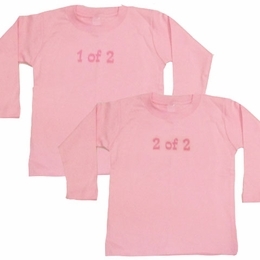 1 of 2 & 2 of 2 Twin Long Tee Shirt Set - Largest Twin Store & Twin Gift Registry! Now you can keep track of your twins with these fun long sleeved tees! � Price includes TWO super-soft tee shirts!